Think of the brand Hunter, and rubber rain boots (or "wellies") come to mind. Its heritage weatherproof footwear has garnered a cult following and a fashionable fan base—hi, Kate Moss—particularly around festival season, when many concert-goers stomp around the mud and terrain in its shoes. As festivals like Coachella start up this year, Hunter is releasing one of its biggest brand expansions to date: an affordable spring collaboration with Target. Hunter for Target is available at select Target stores and online starting today, a collection that spans clothing, footwear, and accessories. A testament to how much the British label's offerings have grown in recent seasons, customers can pick up sheer raincoats, metallic bomber jackets, sateen rompers, and sporty mesh dresses, as well as pool slides and, yes, rubber rain boots, as part of this collaboration. "When I came into Hunter [in 2013], we were 98% or 99% rubber boots—and out of that 98%, it was basically one style, in two color ways," Hunter Creative Director Alasdhair Willis tells Glamour. "We’ve been quite wide in our aesthetic and the color palette [with this collaboration]... The concept really lends itself to a level of fun. "We bring you the trends. You make them your own. 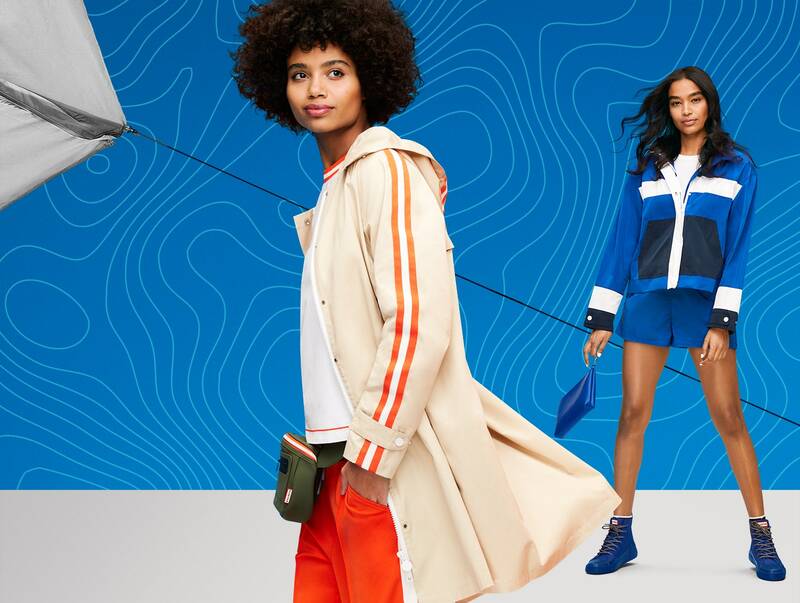 From a consumer perspective, Mark Tritton, Target's Chief Merchandising Officer, thinks that rings true: Even if customers didn't own Hunter boots already, they definitely know of their value. "Our guest research showed that [Hunter] was number one in terms of the brand recall and attitude towards the brand, so it was just a slam dunk," he says. Like many of Target's past sell-out fashion partnerships, every item in the Hunter For Target collection is under $100. (Wellies reminiscent of those beloved by Kate Moss? Only $40!) The collaboration is "a journey in expression for the brand, and a much wider play than they would get," Tritton says. "We had no boundaries when we sat down together: We could just express things that the brand has never played with, but make complete sense with its DNA." On final tally, the Hunter For Target collection includes nearly three hundred items. ("But it could have been three thousand!" Willis says.) So we went ahead and picked out a few items to get you started—though you'll want to add them to your cart sooner rather than later: These collaborations have a history of selling out quick.